I heard a lecture last night given by a hypnotist who specializes in Achieving Mental Toughness for dressage riders. As is the case with many lessons on peak performance, almost every word could have equally been applied to trading. In showing dressage, preparation, self talk, self discipline and having a plan are everything. Yet there are uncontrollable variables too, such as the mind of the horse you are riding. The horse might be tense or nervous. The footing might be sloppy. The weather might be poor. 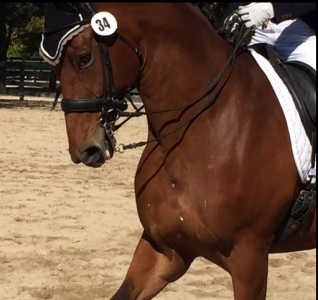 It is a rare occurrence to achieve a mistake free performance when riding a dressage test. The subconscious mind is 88% brain function based on habits, emotions, long-term memory and self preservation. Your subconscious mind is like a computer hard drive. In order to create and sustain change, you must tap into the subconscious 88% of your brain. You can access your subconscious through relaxation, visualization, imagination and hypnosis. It is all under your control. The subconscious does not know the difference between reality and imagination. You are what you think you are – which means that in order to change, you have to change the way you think. Your thoughts then create physical reactions. Your imagination is more powerful than knowledge. What happens in your life is purely neutral. It becomes positive or negative only by the way you respond to it. To be mentally tough is a science. Know it. Believe it. – Enjoy protein. (I thought that was funny to be first on the list, but is an athlete going to give their best performance after having eaten a donut and coffee?) Your physical state has a lot to do with your mental state. Make sure you get protein before you ride and show = make sure you get protein before you start your trading day. – Focus on Solutions, not the problem. Create a mindset where you will find a solution and then the brain will produce a solution when asked. Now here is what was interesting: Solutions in the brain come from words. We only function off words…and this includes positive self-talk. – Mental image/Role Modeling. Choose a role model and make sure it is one you like. You have to like what you want in order to achieve it. Monkey See, Monkey do – we mirror role models. – Let go of anxiety. Is the fear real or imagined? It is hard to be relaxed unless you are in control of it. If the fear is real, you can deal with it. Let go of imagined fears. – Avoid taking things personally. Go back to the land of neutral, no judgments. – Learn self discipline with a positive attitude. Attitude is a choice. Focus on your self talk and stay positive. Words are what we need to consciously be aware of. The subconscious mind takes words literally. Self discipline is speech habit. “I can control what I think or hear”. – Negative energy creates more negative energy. How do you control this? Be present with “what is”. Here is an exercise: Elevate what the problem is in your mind. Then shrink it down. Put it in your hand and blow it away. For example, you fear putting a trade on and having it move against you. Imagine that problem as big as the room, even bigger. Now mentally shrink it down to the size of a postage stamp. Picture yourself placing that postage stamp on your hand and blow it away. – Make a Plan. In dressage, that includes a Pre-Ride Routine, Pre-Ride homework, and then a Riding Routine on show day. The need for a plan for trading is obvious. But here is what was important in sports performance: the plan must be written. If you write it down the brain sees it. The brain needs a reading. Mental plans simply do not hold up. An Attitude of Gratitude is about building a positive emotional bank. It keeps you centered and creates good energy. Positive energy and happiness will ultimately show up in your performance. – More Words on Self Discipline: Self discipline can be considered a type of selective training, creating new habits of thought, action and speech. It can also be task oriented and selective. Self discipline is positive effort, not denial The easiest way to think about self discipline is WORDS. You can choose the words you say to yourself. So, it is a discipline in selecting your words and monitoring your thoughts. – The law of attraction only works if you have no negatives. Say: “I will stalk my trades first” instead of “I will not make impulsive, reactive trades”. In the latter, all the brain hears is, “Make impulsive reactive trades.” It does not recognize words like “not” or “won’t”. You can not have peak performance if there is negative energy flowing though you. If you can’t replace it with positive energy, replace it with a purple elephant. A Purple Elephant image goes a long ways towards blocking negative energy. Try it…!